Hobbies are one of those things that really didn’t seem necessary or plausible in the busy period that was life as a student athlete in college. But fast-forward to today and they are crucial to both my sanity and over all satisfaction with life. Last year, I decided one of the new things I would try my hand at is growing plants. 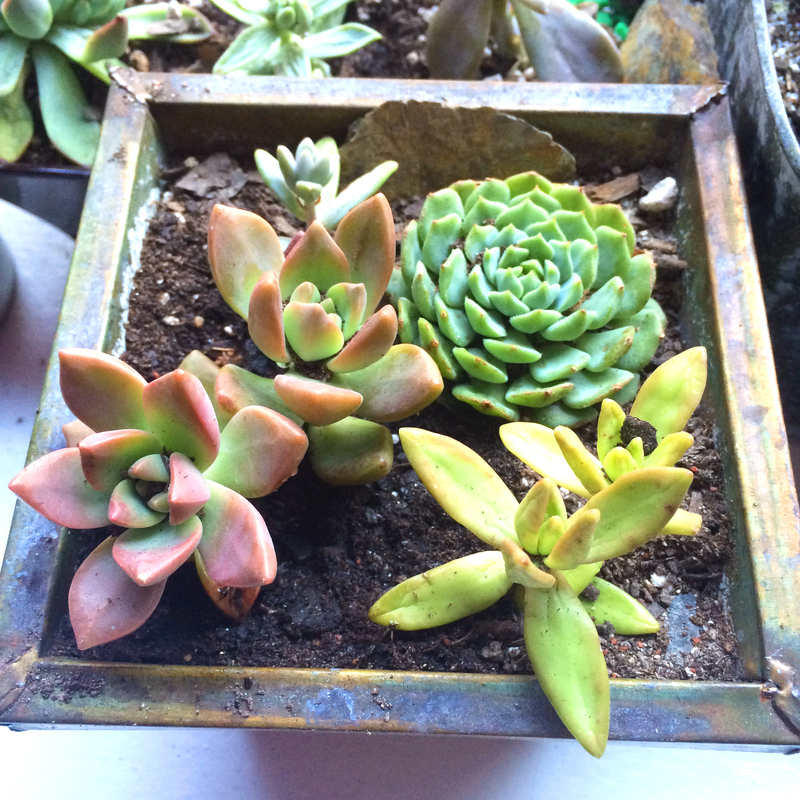 So the next day, I ordered 15 pretty little succulent plants from Amazon and began my green thumb adventure! 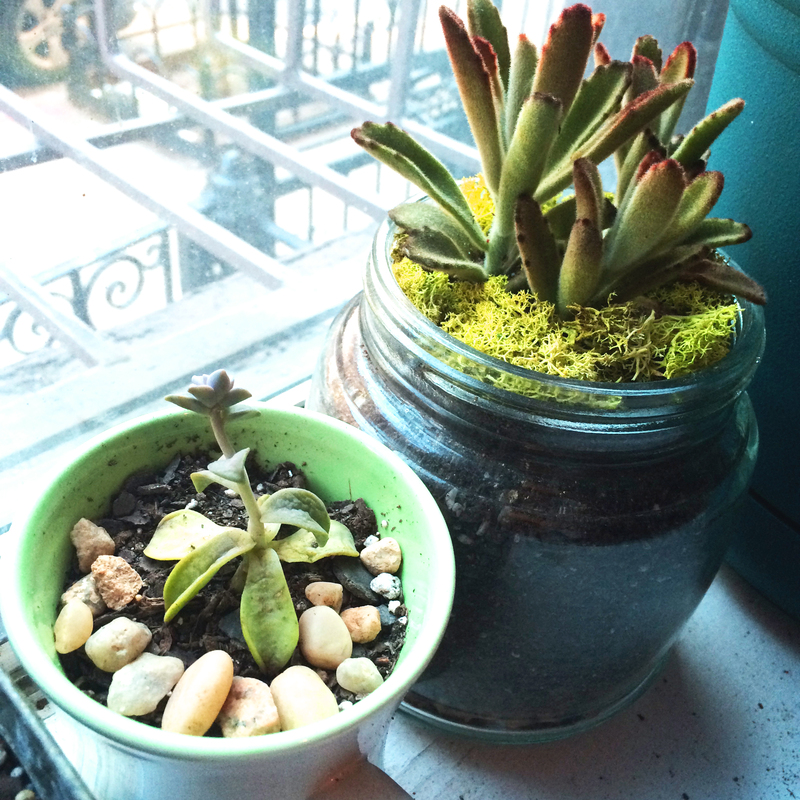 Living in a small studio in the UWS, I can’t quite say I’m “gardening,” so “growing plants” seems more appropriate. Or killing plants depending on the day. Never ever ever over water your plants! 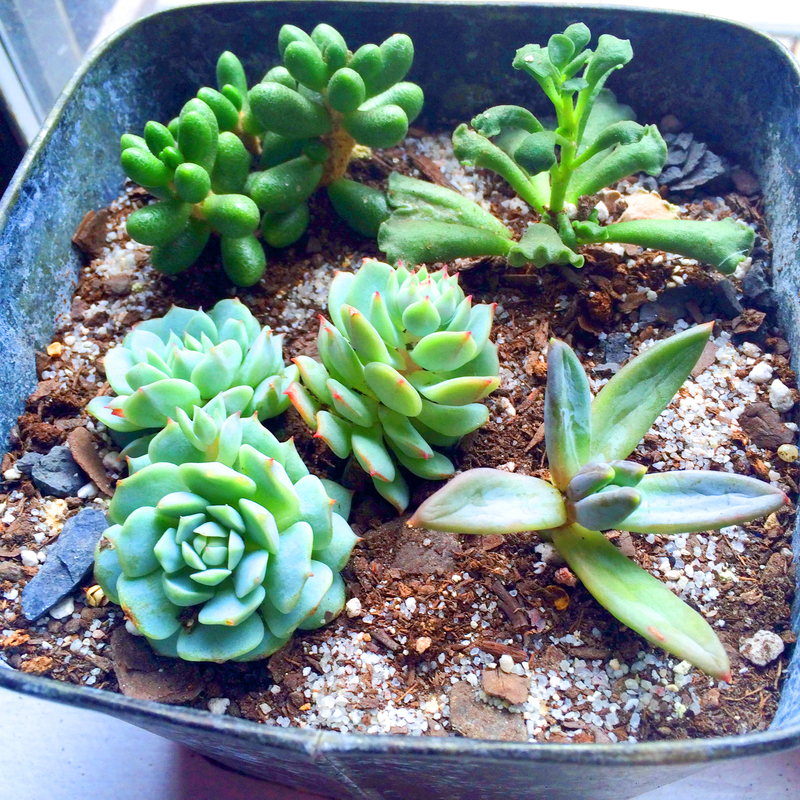 I always make the mistake of thinking they need more love and tlc- so I end up watering them too much. Next day? A bit soft. A few days after that? The leaves are wayyy soft, almost mushy… it’s leaning over, discolored, and basically waiting to die. Oh and sometimes the plant will look totally fine until one morning you look over and it’s fallen over due to root rot (the roots have been constricted and turn black due to over watering!) Dead. All those guides that say wait until your plant is totally dry then completely drench and let drain? Nope. That has always been a sure fire way to kill my plant. Anytime I’m thinking, “…Yes! I’m drenching my plant and it will flourish and grow strong now FOR SURE…” it dies shortly there after. To my utter dismay. Don’t leave them without water for too long! Usually I take a spray bottle and give them some water every 3 weeks or so. Otherwise, the leaves will start to get brittle and fall off. Propagation is amazing!!! 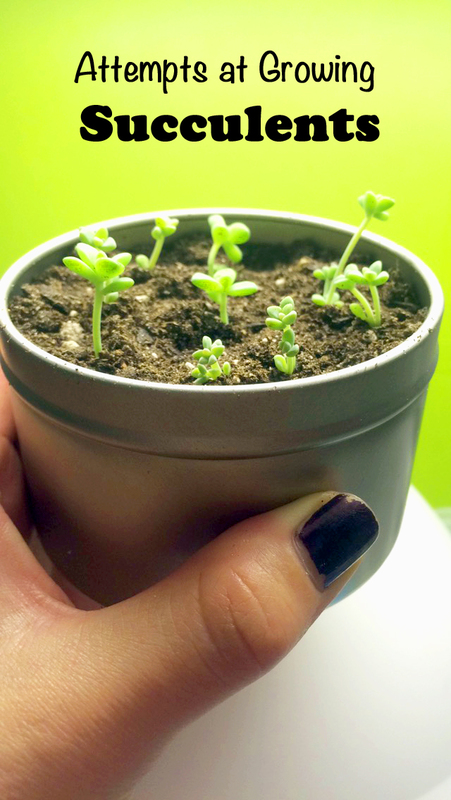 Over the Summer I plucked some leaves off a succulent that was getting too “leggy” and let them transform in to new baby plants over the course of 4-5 months. 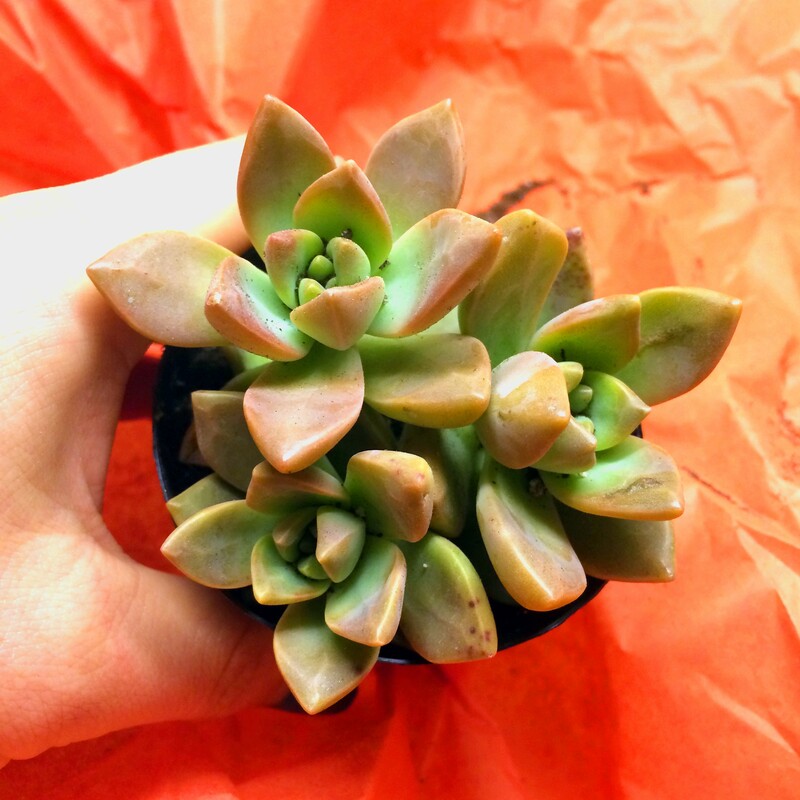 Here’s an awesome article on it: Succulent Propagation. 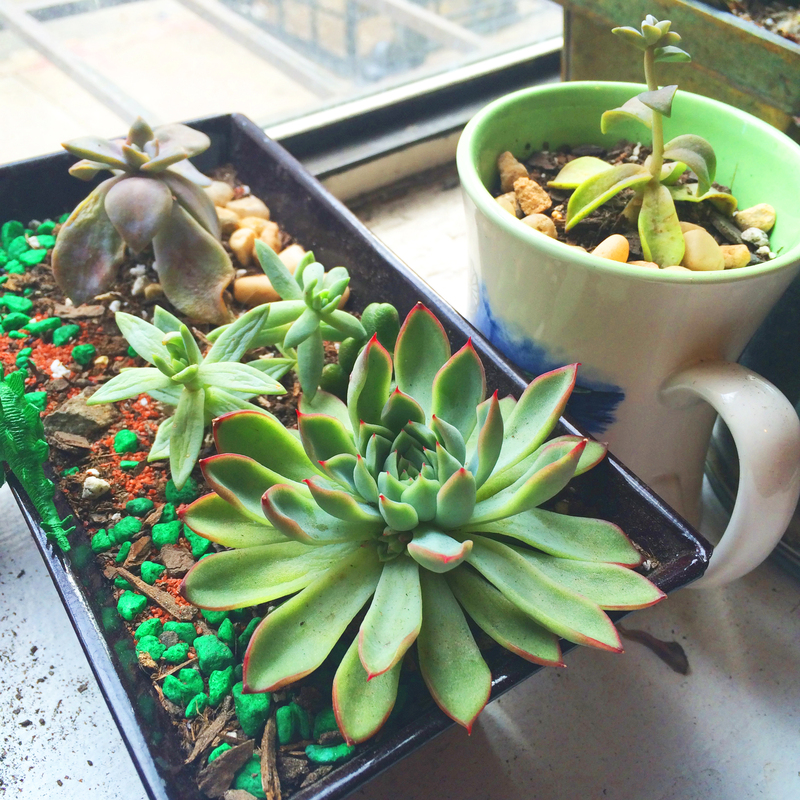 The climate/ environment your succulents live in really matters. While I was at home in San Francisco, I was astounded at the beautiful variety of succulent plants that grew wild out of peoples gardens, on the sidewalk in cracks and every other city nook imaginable. It was basically like the world of succulents was just laughing in my face. Regardless, they were all perfectly healthy and vibrant- even in the non-controlled environment of urban SF. Basically I’ve learned not that much. I think most articles and super trendy garden Pintrest boards make it seem like succulents are easy to take care of and I’m here to say no. No, they are not. Unless you happen to have an ideal sunny window sill to grow them on and you’re like, a magician. Or just super in control of your watering habits or have a sixth sense for what your plants need. Orrrrrr of course you live in California where plants grow (what appears to be) effortlessly beautiful. I will say succulents are hands down the cutest and most versatile plants to have in terms of decor! My favorite place to buy replacement succulents is at Kingdom of Herbs in Chelsea Market. They have great prices and a solid variety of succulents to choose from! Thanks 🙂 I’m glad you’re enjoying them! Thanks for your honesty. I’ve got a black thumb myself and have read the numerous stories on how easy it is easy to care for succulents, but haven’t tried it myself.